Dual Carry Tote Bag, use as a hand bag or as a shoulder bag. 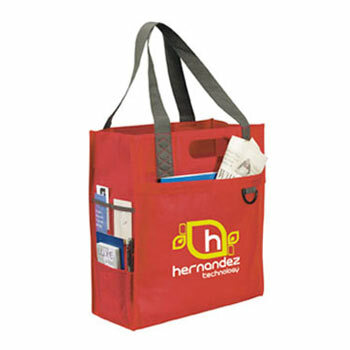 Ideal to carry all your papers and brochures at conferences and exhibitions. Features useful external pockets and a boarded bottom to maintain it's shape. Can be printed with your corporate logo.